The Scott Routenberg Trio is an Indianapolis-based jazz piano trio specializing in Routenberg’s award-winning compositions, Brazilian jazz, and fresh interpretations of the standard repertoire. The trio’s debut album Every End is a Beginning was released in 2017 on Summit Records to critical acclaim. The album reached #65 on the JazzWeek radio charts and was proclaimed an “early candidate for Jazz Record of the Year” by Dr. Brad Stone of The Creative Source. Past performances include Indy Jazz Fest 2015-2017, The Green Mill (Chicago) with multiple Grammy-winner Howard Levy, The Jazz Kitchen (Indy), The Velvet Note (Atlanta), the Chatterbox (Indy), opening for legendary jazz guitarist John Scofield and The Palladium’s New Year’s Eve Extravaganza (Carmel, IN 2016 & 2017). The trio’s second album on Summit, Supermoon, will be released in September 2018. As dedicated jazz educators, Dr. Scott Routenberg, Nick Tucker and Cassius Goens III serve on the Jazz Faculty of Ball State University’s School of Music, where Dr. Routenberg is Assistant Professor of Jazz Piano. Nick Tucker is house bassist for the American Pianists Association Jazz Piano Competition, and Cassius Goens III is an endorser for Sakae Drums and Remo Drumheads. Dr. Scott Routenberg enjoys a versatile and prolific career as an award-winning composer, arranger, jazz pianist and orchestrator. In 2004, Scott was the first jazz songwriter to win the coveted John Lennon Songwriting Contest Maxell Song of the Year for his electro-acoustic big band composition Bandwidth (EMI Records). Other notable awards and honors include The ASCAP Foundation/Symphonic Jazz Orchestra Commissioning Prize (2016), the International Society of Jazz Arrangers and Composers Symposium SONIC Award for Best Arrangement (2017), the ASCAP David Rose Scholarship, Composer Scholar at the Henry Mancini Institute in Los Angeles, the ASCAP Foundation Young Jazz Composer Award (three-time winner), participant in the ASCAP Television and Film Scoring Workshop and the DOWNBEAT Student Award for Best Extended Length Composition. 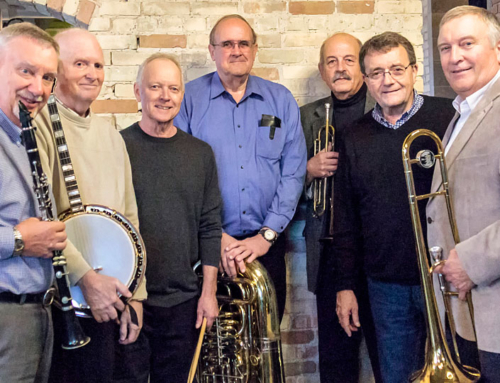 As a jazz arranger, Routenberg has been commissioned by multiple Grammy-winning ensembles and artists, including the Metropole Orkest and harmonica virtuoso Howard Levy. Routenberg’s orchestral music has been premiered by the Symphonic Jazz Orchestra, the Atlanta Symphony Orchestra, the Houston Symphony Orchestra, The Indianapolis Symphony Orchestra and the New York Youth Symphony, among many other ensembles. World premieres include Austria, Ukraine, the Netherlands, Poland, Norway, China, Singapore and Thailand and domestic premieres include Carnegie Hall, Lincoln Center and Los Angeles. Routenberg will serve as a judge for the prestigious American Pianists Association Jazz Piano Competition Premiere Series (2018-2019), where he will help choose the $100,000 Cole Porter Fellowship winner. Scott’s jazz piano teachers include Brazilian legend Manfredo Fest (keyboardist and arranger for Sergio Mendes, Brazil ’66 and Bossa Rio), Chip Crawford (Grammy Award winning pianist for Gregory Porter on Blue Note records) and Vince Maggio (student of Oscar Peterson and roommate of Bill Evans). Routenberg is a graduate of the University of Miami Frost School of Music and the University of North Carolina at Chapel Hill. Dr. Routenberg is currently Assistant Professor of Jazz Piano at Ball State University. Bassist Nick Tucker is an active freelance musician in Central and Southern Indiana. He currently resides in his hometown, Indianapolis. Nick is professor of jazz bass at Ball State University and house bassist for the American Pianists Association Jazz Piano Competition. 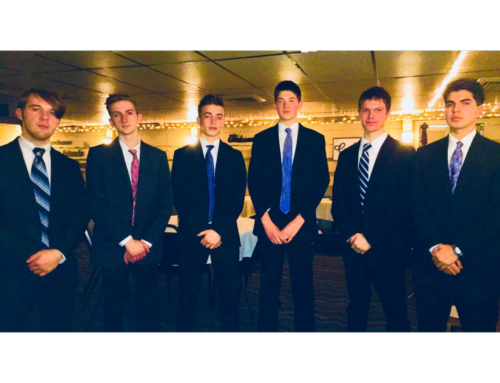 Nick performs extensively in all areas of music with numerous jazz, Latin, and rock groups in Indianapolis, Bloomington, and throughout the Midwest. He has performed with Rich Perry, Alan Pasqua, Randy Brecker, Mike Clark, Bobby Watson, and Stefon Harris. Nick has performed all over the United States, as well as in Europe and South America. Nick holds a Bachelor’s degree in Jazz Studies and Music Recording/Technology from the University of Indianapolis and a Master’s degree in Jazz Studies from Indiana University in Bloomington. Nick is an alumnus of the Stean’s Institute Jazz Program at Ravinia where he studied with David Baker, Curtis Fuller, Rufus Reid, and Nathan Davis. He co-leads TB4 with his brother Joel Tucker, and is a member of the Sophie Faught trio and the Steven Jones trio. Cassius Goens III, Assistant Professor of Music (Jazz Drums) at Ball State University, is a highly sought-after musician, clinician, and educator in the greater Indianapolis area as well as across the Midwest. 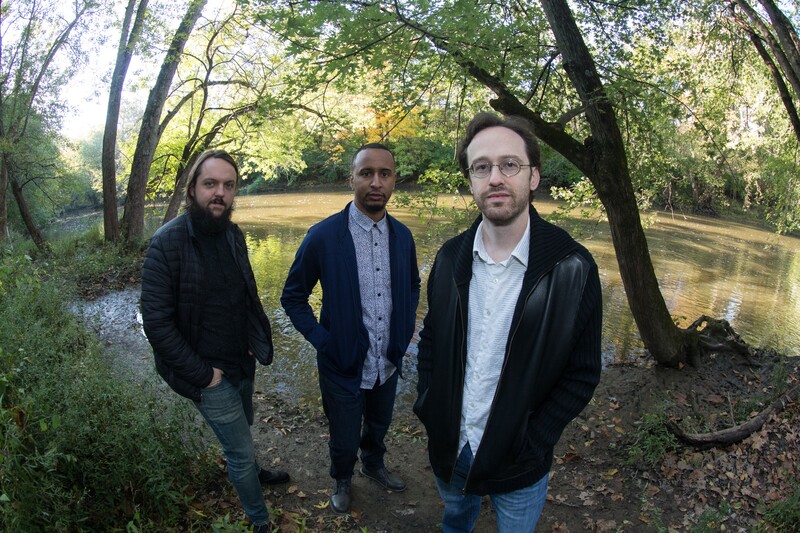 As a performer, Goens is an active member of the Scott Routenberg Trio, which recently released their debut album Every End is a Beginning on Summit Records and have been featured at such notable venues as The Green Mill (Chicago), The Velvet Note (Atlanta), The Jazz Kitchen (Indianapolis) and the 2015, 2016 and 2017 Indy Jazz Fest. 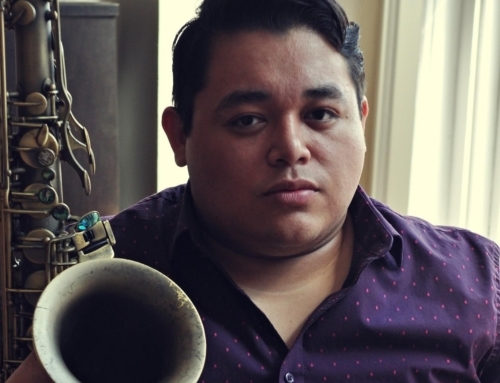 Goens also performs all original compositions throughout the Midwest with his jazz quintet Groove Theory, and has appeared at Andy’s Jazz Club (Chicago) and main stage at the 2012 Iowa City Jazz Fest. 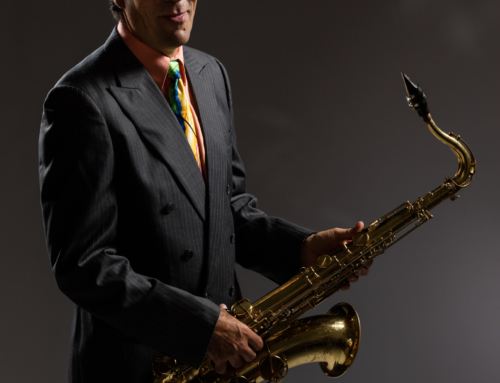 Goens has an extensive performance history with several groups including The Glenn Miller Orchestra, The Ball State University Jazz Faculty Ensemble, Kool’s Bazaar, Premium Blend, Cory Hill, The Ryan Taylor Quartet, The Cohen/Rutkowski Project, The Naptown Guitar Syndicate and the Steve Grismore Quartet. Goens also serves as the house drummer on Sunday evenings at the legendary Chatterbox Jazz Club, a staple in the Indianapolis music scene. Goens’ performance ventures have taken him across the United States and Europe where he performed at the Montreux, Vienne, and Purugia Jazz Festivals. In 2011, he performed throughout Brazil as part of the Johnson County Landmark Jazz Ensemble and returned to Brazil in 2012 to tour with Brazilian guitarist/singer/songwriter Ricardo Coen. Goens has also shared the stage with world renowned jazz artists Chuck Finley, Buddy Defranco, Andy Martin, Marcus Printup, Karyn Allison, Don Aliquo, Wayne Bergeron, Dennis DiBlasio, Ted Nash, Michael Davis, Matt Harris, Rodrigo Ursaia, Jimmy Greene, Andy Milne, Phil Ranelin, Howard Levy, Tony Monaco, Walter Smith III and Slide Hampton. Cassius Goens III holds degrees from Ball State University (BGS, Music Emphasis) and the University of Iowa (MA, Jazz Studies). 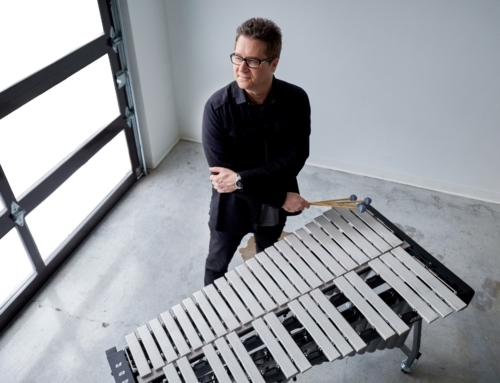 As a member of the Percussive Arts Society, Goens serves on the PAS Diversity Committee, and he belongs to The American Society of Composers, Authors, and Publishers (ASCAP). Cassius is an educator, artist, and endorser for Sakae Drums and Remo Drumheads.